It may not be the most important meal of the day but snacks are just important as any other meal plan. We are used to consuming only three meals a day, but we do not know is that a snack is also a part of a healthy diet. Snacks can provide energy in the middle of the day, especially to the kids and students that are very active. All they need is a snack to keep them being active and not feel tired after class or after practice. And with the right schedule for snack, snacking would be absolutely easy and fun. 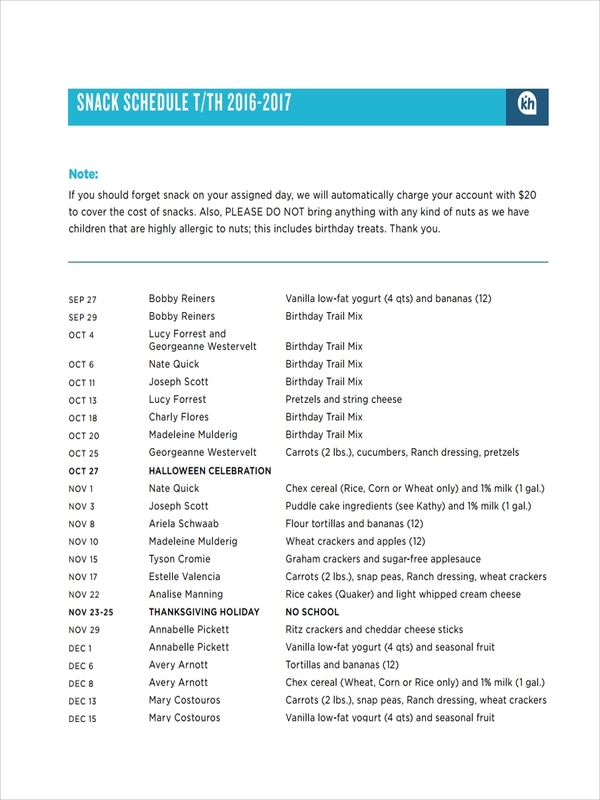 What Is a Snack Schedule? 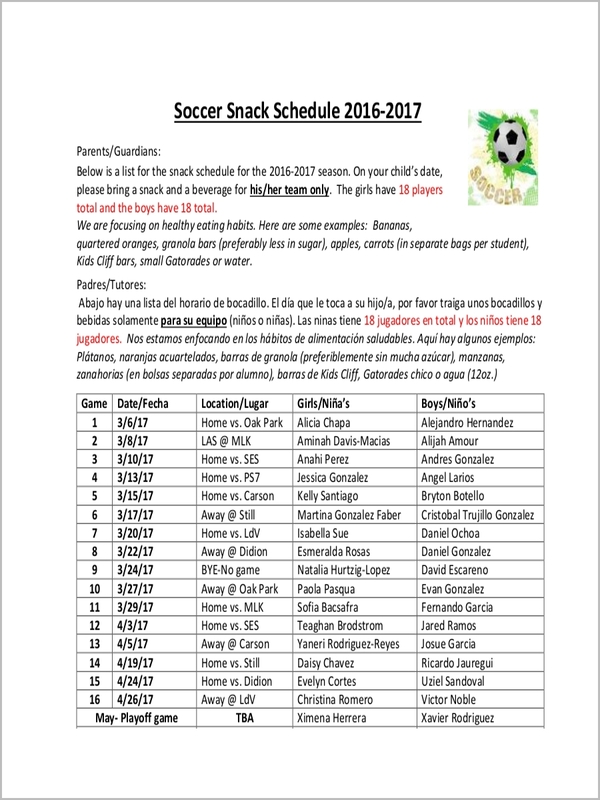 A sample schedule for snacks is a list of snacks that are intended to be consumed at a particular time management schedule. 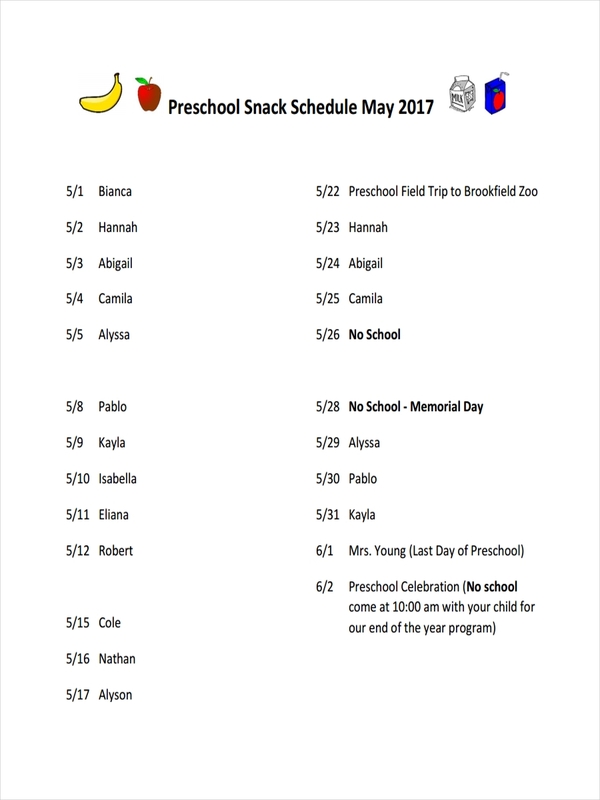 Most of the time, the snack schedule is used to properly provide healthy snacks to the students that are in primary school or grade school. It is also applicable to the kids who are a member of a sports team. 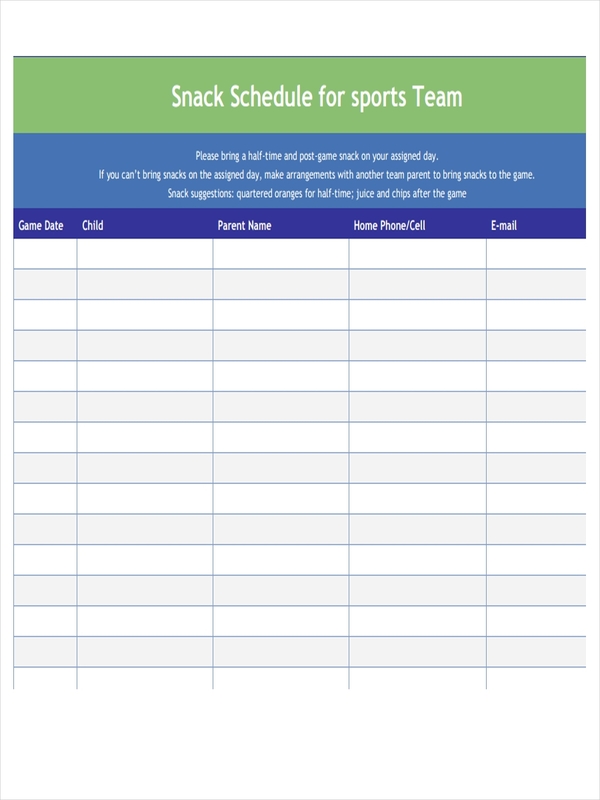 The snack schedule enables the parents as well as the teacher and coaches to plan for healthy snacks to be given to their kids. It includes information, such as the type of snacks, the nutrition facts, and who should eat it. 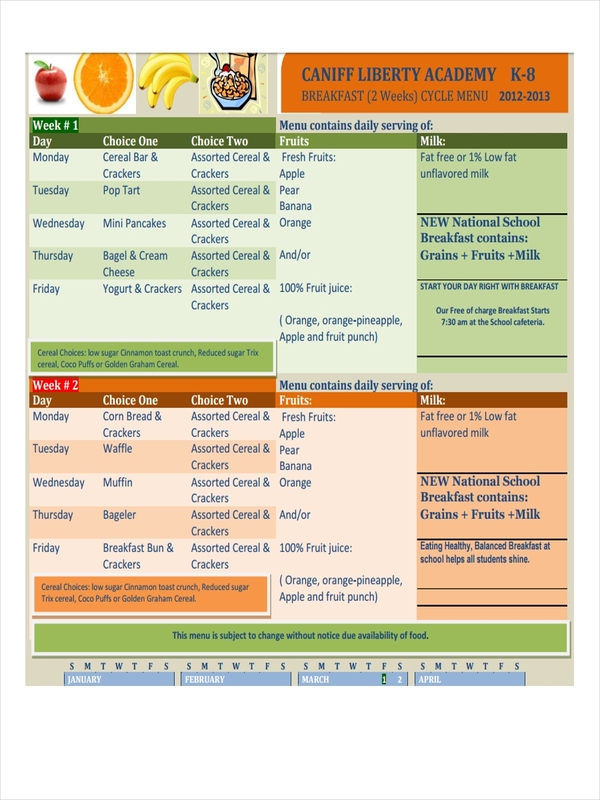 Creating a daily schedule for snacks for your kids or for your students require some knowledge in food intake. 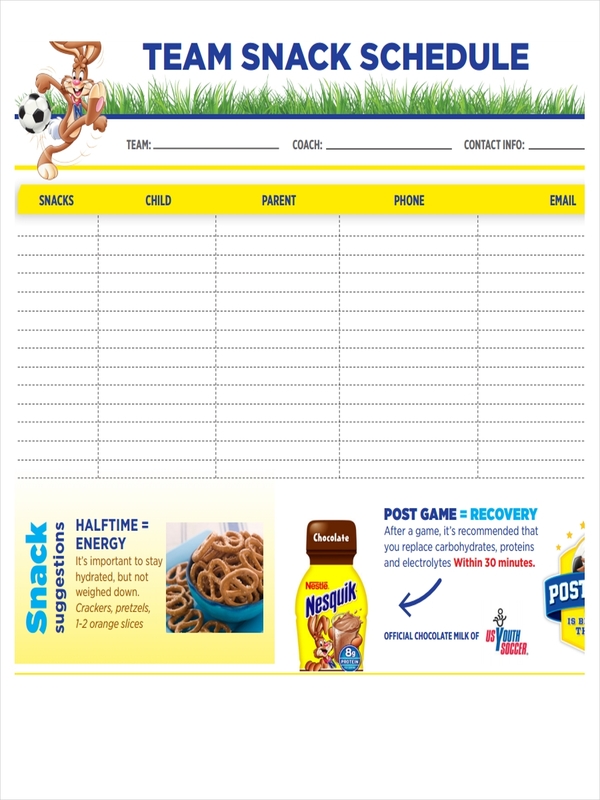 Nevertheless, creating a snack schedule is easy to do. Follow our steps below and you are good to go. List all the healthy snacks. Determine the time at which snack is appropriate to consume. Identify the portion of the snacks that your kid or students can take. 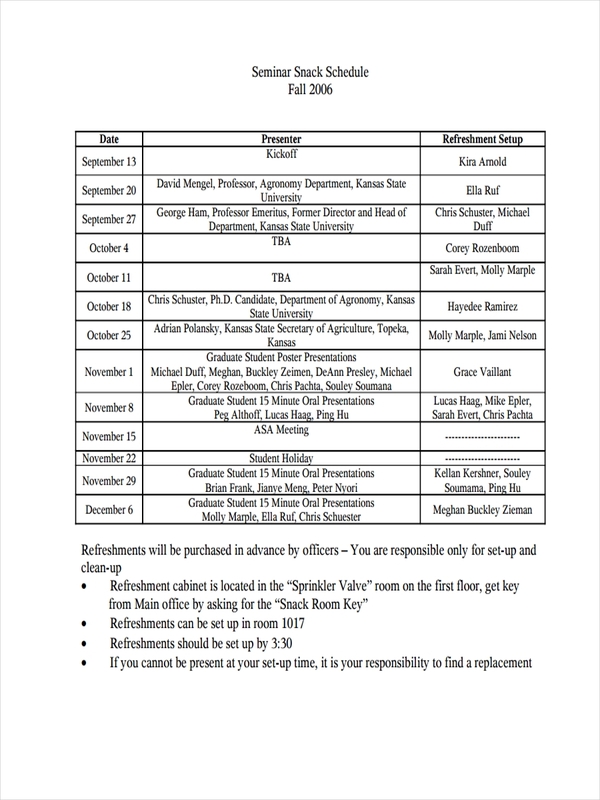 Write down all that information on the activity schedule. And lastly, arrange it accordingly. 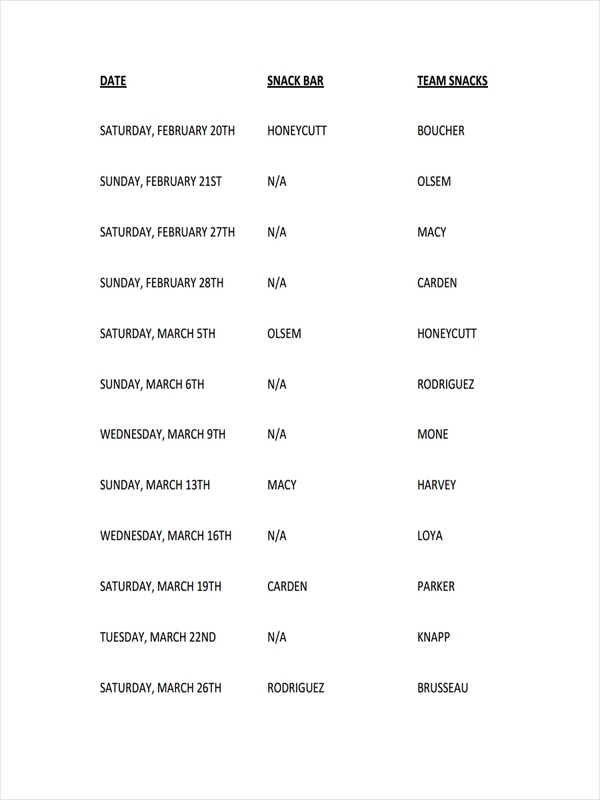 To help you with that, you can download our preformatted snack schedules here. 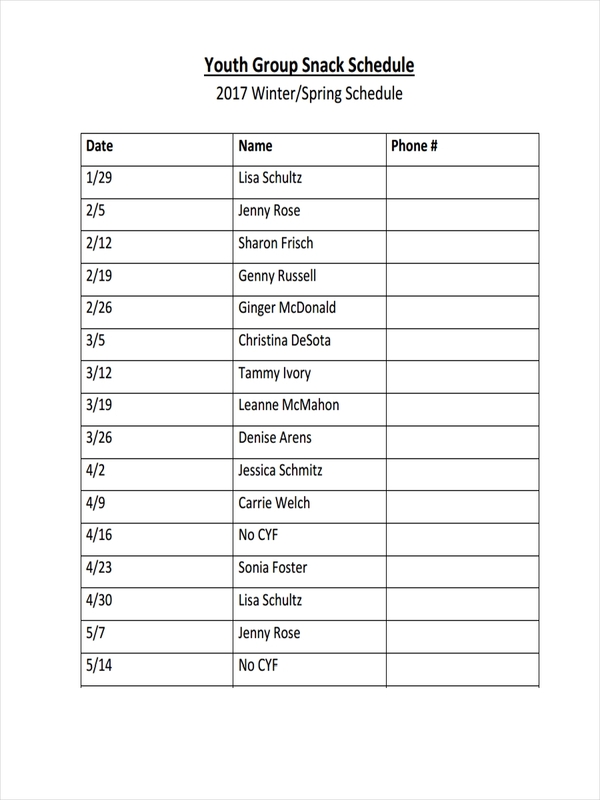 Here are the few reasons why snack schedule is important. It provides healthy and balanced snack for the students. It will determine the appropriate time management system that the snack should be consumed. It can be used as a reference in deciding what snacks are suitable and relevant next day or week. It ensures that the students have a proper food intake. As a parent or teacher, you already know how you can provide snacks to your kids and students. However, is still best to consider these tips on your next weekly schedule of snacks. Always provide healthy snacks. It is important that your kid or students will be strong as they grow up. Especially if the kid is a member of a sports team. Making them immune to sickness and other diseases is what matter the most. Set the appropriate time for the snacks. It should be between meals or after class or after training schedule. Write your snack schedule clearly. So that it could be easily understood by other parents or teachers and to the kids. Make sure that you follow your snack schedule. After all, you made the schedule in excel to provide healthy snacks for your kids or students.